You have your new business financially supported thanks to federal small business grants for women, and ready to convey to the online world that you have something to offer. You also have arranged for a catchy domain name. However, you still need to find a web host for the site you’re going to be building. So, what does web hosting mean? How would you determine which web hosting is best for you? Web hosting is renting web server space. Hosting companies house personnel and hardware to maintain and run several servers at once. A web server offers important services such as the facility to produce email addresses based on your domain name, to send and receive emails, to enable your site to run programs, to build and manage databases, to display images and videos, and many other useful functions. Nearly any kind of computer can operate as a web server, but it’s the installed software that makes it a server. In purchasing web hosting, take note that the monthly fee you’ll be paying goes to the maintenance and upgrades of the server’s hardware, software, and the costs of sustaining it online 24 hours daily in a secure data center with powerful and fast Internet access, and to the personnel who do all the work for you. Shared Hosting – It simply hosts more than one site on a specific server. Most websites run in a shared web hosting environment. Shared hosting is more affordable than any other type of web hosting since the server’s resources can be divided among the hosted clients and its operating costs. Shared hosting packages allow each client a particular amount of resource representing disk space, uptime, email addresses, bandwidth, CGI scripts, etc. Shared hosting is also referred to as virtual hosting. Dedicated Hosting – You might want to hog a web server all to yourself if you have a large website that gets tons of traffic and dominates resources. For instance, large corporations prefer the extra security of not having to share their servers with others. Dedicated hosting is renting an entire server where the web hosting company still owns the operating machine, and makes continuous hardware and software maintenance. But, you will have greater control over the use of the server and its configuration. Dedicated hosting costs more than shared hosting. Server Co-Location – If you desire for complete control over every element of your web server and have the sufficient knowledge about web hosting, you might opt to purchase your own and maintain it yourself. Still, chances are that you might not have the necessary resources to keep your server entirely safe and secure from computer crashes, power outages, thieves, and other hazards and maintain it on the Internet on a powerful, high-bandwidth connection at all times. You require a trusted data center to deliver these kinds of services for you. Co-location means renting physical security, unremitting electrical power and a fast, dependable Internet access for a server that you own. The data center is not held accountable for any sort of hardware or software maintenance of a co-located server. You are the one responsible for these kinds of maintenance. This can be a more affordable substitute to dedicated hosting if you have the basic expertise and time to manage a web server yourself. This entry was posted in Business Hosting, Domain Names, Web Hosting on March 17, 2015 by Bruce Stevens. A business strategy is defined by a detailed business plan. Your business plan features the nitty-gritty of everything your business has to offer and where it will lead you for the long haul. So, why is a business plan required? Prior to creating a business, people need to know where it will stand in the next 10 years or so. It depends on how long you can carry out your business plans. After gathering essential information about your business, you have to merge what you have researched in order to end up with a proper business plan. What are your business goals? How will you strategically and properly achieve them?How will you handle if crisis hits? How long do you think your business plan can survive? Your business success can translate into how long your business methods will work. Plus, you need to be flexible when it comes to your business plan. If things don’t work out accordingly, what will be your next approach? If you’re launching a web hosting business and you don’t have much clue about it, it’s best to start with a small investment. Basically, you can get a reseller web hosting plan. 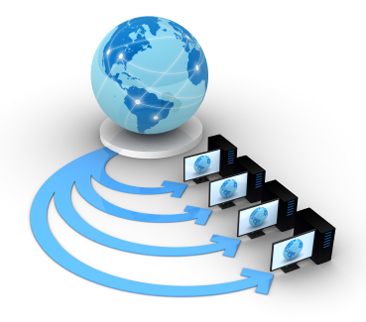 Reseller hosting plans enable you to host websites as a third party. There is a reserved server space for reseller accounts and you are permitted to rent it further on account of your company. As a reseller, you can have a shared server or rent a dedicated server. Some well-known web hosting companies have started as a reseller and now they’re web hosting mammoths. You should analyze your business conditions first. You have to perform a market analysis and assess how things would be working in web hosting business. Having a market analysis will help illuminate who your target clients and competitors are so you can best define your web hosting business plans while keeping market trends in mind. Having the necessary funds is crucial to any aspect of business. Take note your financial resources: How much can you afford? How long can you survive from your business profits or losses? How much investment will you need to be a reseller host? If you decide that you need more capital, you can tap into federal funding opportunities such as small business loan assistance, business grants for women, venture capital programs, etc. Keep an eye for these opportunities. And if you have reserved a substantial amount of money, you can use it to develop an efficient financial plan. Decide on what type of web hosting plans you are offering. There are tons of cheap web hosting companies that can provide you affordable web hosting plans. What makes you stand out from the rest? A reseller can offer any sort of hosting plan depending on the type of account used. As a reseller host, you can provide dedicated server hosting plans, shared web hosting plans, or even a Virtual Private Server (VPS) hosting plans. You can also set your own competitive pricing and hosting packages. It’s important to have a marketing plan to let others know about your business. Promote your web hosting business through different channels such as social media, ads, or affiliate marketing. Remember that a healthy marketing strategy can scale up your business. Your marketing campaign must provide customer-appealing web hosting plans. Also, when you’re starting as a reseller host, you won’t have to deal with the operations since your hosting company takes care of the grunt work for you. However, if you move on to the next level, you will need more space, support and manpower to carry out operations that include hardware and software maintenance, etc. In web hosting business, you must sustain your several client accounts including their own web hosting plans and services they are receiving. This entry was posted in Business Hosting, Web Hosting and tagged business hosting, web hosting on March 16, 2015 by Bruce Stevens.